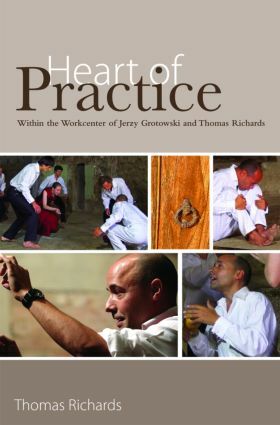 Heart of Practice is a unique and invaluable insight into the workings of one of theatre’s true pioneers, presented by his closest collaborator. This book charts the development of Grotowski’s dramatic research through a decade of conversations with his apprentice, Thomas Richards. privileged insight into what Grotowski considered to be the culmination of his life’s work.